We're coming down to the end of the cruise ships for the year. The 29th of this month marks the last ship of the year. There haven't been many new entries in this Cruise Ship Watch series lately because frankly, I already have most all of them. 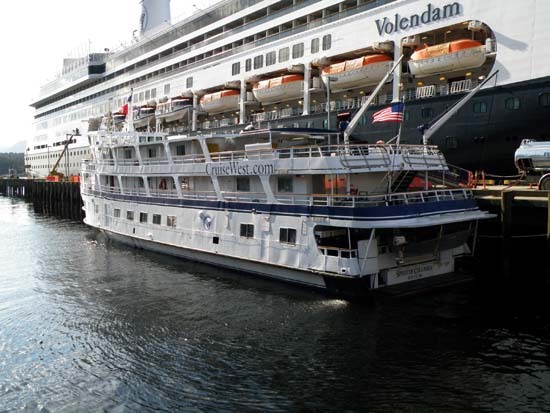 Here's the Spirit of Columbia, it's another small ship owned by Cruise West. That's the Volendam in the background.